Be in full control. Hold, send and receive popular cryptocurrencies such as Bitcoin, Ethereum, and Litecoin— right at your fingertips. Cryptocurrency usability brought to a whole new level. Global payments enabled anytime and anywhere. Our unique range of products allows you to bring together many types of local and global currencies with the flexibility to choose from different payment methods with a tap of a button. Spend at over 42 million points of acceptance online and offline, in almost 200 countries - perfect for the world traveller. TenX Cards can now be ordered by travellers from Singapore, Australia, New Zealand, Hong Kong and Malaysia. Residents from the rest of APAC will be able to order very soon. Register your interest in the TenX App to be notified when it's out in your region. We think bigger than a cryptocurrency payment company. Our vision is to be the fabric for the decentralised world. We aim to connect anyone and anything to decentralised services. You can enjoy access to multiple cryptocurrencies across different blockchains. 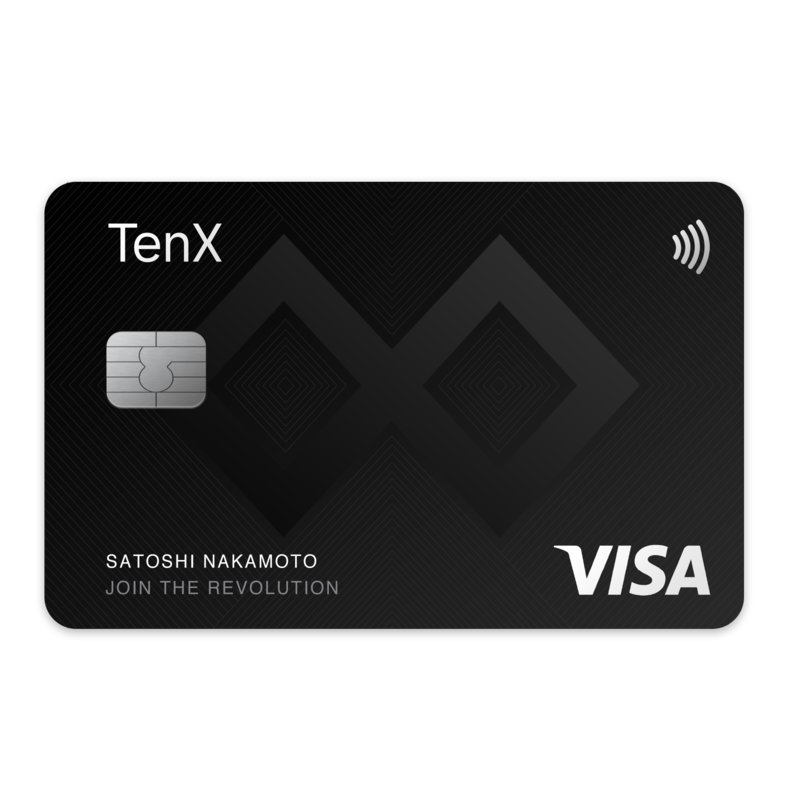 Hold, send, receive and spend Bitcoin and Ethereum with the TenX Wallet and Card. I treat my skeptical friends with a cup of coffee using my TenX Crypto Debit Card. They were so amazed that I paid using my Ethereum linked to my TenX Mobile app. I didn't expect that they turned from being skeptical to a believer of Blockchain Technology. Because of this, they are now joining the revolution. TenX team knows what they are pulling together. No room for FUD or FOMO, eventually just long term value added goals. Are you in or are you out was never really a question. Lunch in the Melbourne @Westpac Bank building and paid with #Bitcoin via the @tenxwallet card. Download the TenX Wallet app. Create an account and set up 2-Factor Authentication. Load your Wallet with cryptocurrency. Order the TenX Card within the app. Spend your cryptocurrency in the real world. New to crypto? Let us help you. We are building the COMIT (Cryptographically-secure Off-chain Multi-asset Instant Transaction) protocol, a protocol that leverages the power of blockchains and smart contracts to facilitate affordable, fast and private cross-chain transactions for users. The COMIT protocol will disrupt the financial and transaction industry just like the Internet did with media, communication and information. We at CoBloX have committed to explore the disruptive potential of blockchain technologies and perform impactful research in order to scale the blockchain systems towards broad adoption. We’ll keep you up to date with our latest news, announcements and development plans. No-spam policy! Join the conversation on the latest happenings at TenX and the crypto community. Meet like-minded crypto newbies and enthusiasts here.